Since the publication of her first novel in 1920, more than two billion copies of Agatha Christie's books have been sold around the globe. 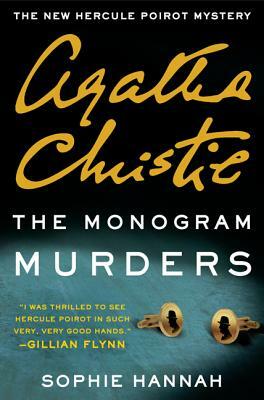 Now, for the first time ever, the guardians of her legacy have approved a brand-new novel featuring Dame Agatha's most beloved creation, Hercule Poirot. Internationally bestselling author Sophie Hannah breathes new life into the incomparable detective. In this thrilling tale, Poirot plunges into a mystery set in 1920s London—a diabolically clever puzzle that will test his brilliant skills and baffle and delight longtime Christie fans and new generations of readers discovering him for the first time. Authorized by Christie's family, and featuring the most iconic detective of all time, this instant Christie classic is sure to be celebrated by mystery lovers the world over.